The Sunshine Group is a registered NPO with the purpose of encouraging pensioners to recognize their own worth and offering them the opportunity to take part in activities such as sewing, gardening, socializing and even playing soccer. They are the lease holders of the Sunshine Service Centre, where the weekly trading of the JBay Recycling Project takes place, and they are kind enough to allow both the JBRP and Meals on Wheels to utilize these premises. The ladies of The Sunshine Group were recently commissioned to make the happy green and red strings of flags that adorn the JBRP stand at the Corona JBay Open. In turn the ladies donated part of their profit to Tharros Children’s home in Hankey. 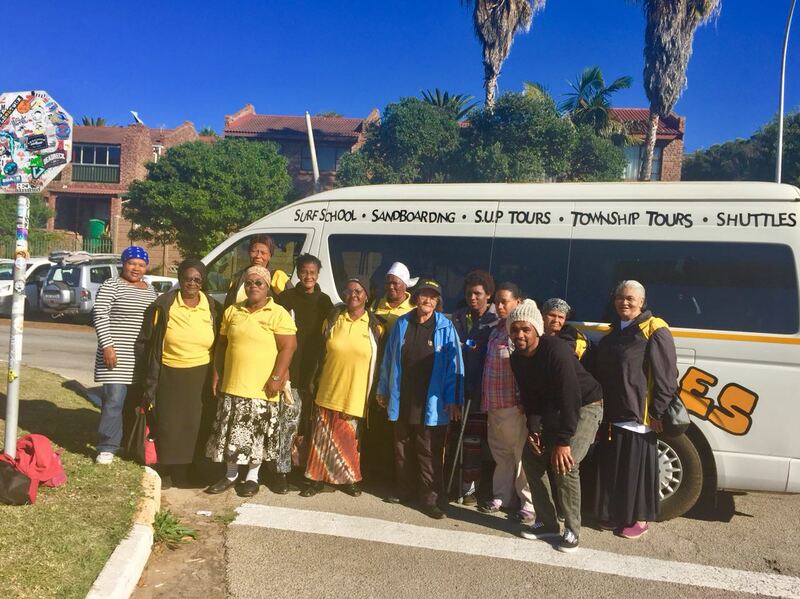 To say thank you, a group of 14 ladies of the The Sunshine Group were invited as VIP guests to visit the JBay Corona Open surfing contest on Thursday 5 July. Transport was arranged by Island Vibe. 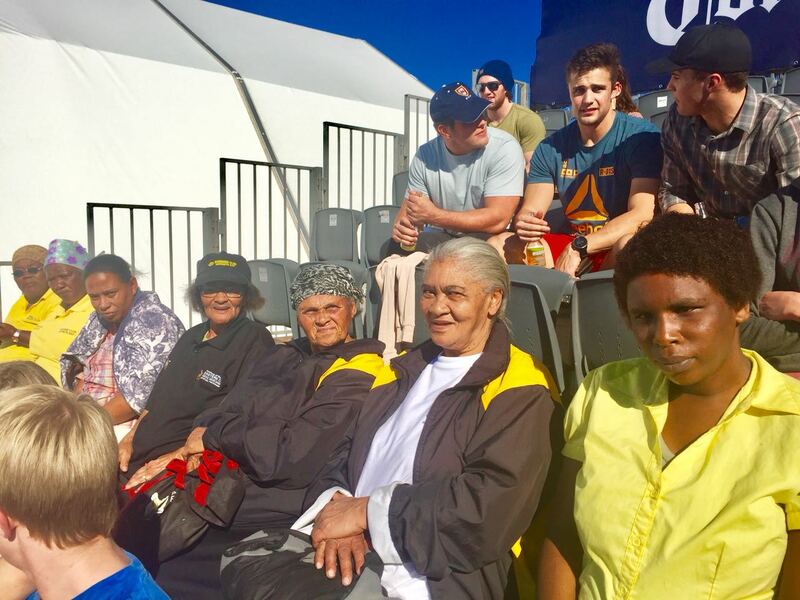 They watched Jordy Smith’s quarterfinal win from the grandstand at the Corona JBay Open. It was a gorgeous day, the water and waves could hardly have been better and they were very excited to spot a school of dolphins. None of these ladies from Pellsrus and Tokyo Sexwale have ever had the opportunity to experience this world-class event before. All agreed that they would talk about this wonderful experience for the rest of their lives and it made them very proud to say that Jeffreys Bay is their home town. If you would like to make use of the services of The Sunshine Group, the chairperson, Francis Faulkner, may be contacted on 071 087 2112. We at the JBRP are proud to be associated with The Sunshine Group. July 7, 2018 in recycling.